von Sharon Kaye, Ph.D., Paul Thomson, Ph.D.
What is love? Is lying always wrong? Is beauty a matter of fact, or a matter of taste? What is discrimination? 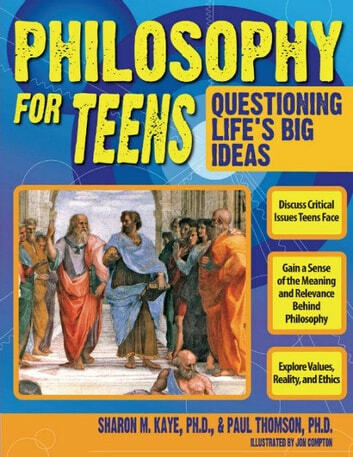 Both sides of the debates are covered on every issue, with information from some of the world's most noted philosophers included in a conversational style that teenagers will love. Each chapter includes discussion questions, thought experiments, exercises and activities, and community action steps to help students make reasoned, informed decisions about some of life's greatest debates. 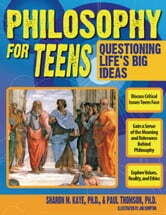 Examining life's big ideas and discovering their own opinions has never been easier or more exciting for today's teens. von Sharon Kaye, Ph.D.,Paul Thomson, Ph.D.